Sam Capra has one reason to live: to reclaim his baby son from the people who kidnapped him. Teaming up with a young mother whose daughter went missing, he tracks his child across the country in a dangerous, desperate race against time. 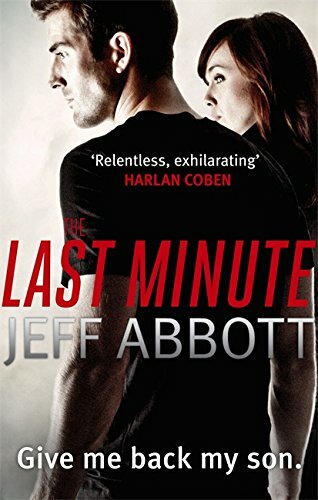 From the internationally bestselling author of Panic, The Last Minute is the most heart-stopping thriller of the year, from 'one of the best thriller writers of our time' (Harlan Coben). Jeff Abbott is the internationally bestselling author of twelve novels, including PANIC, FEAR, and RUN. He is a three-time nominee for the Edgar Award. He lives in Austin with his family.